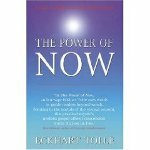 The international best-seller The Power of Now by Eckhart Tolle has been a wonderful introduction to the art of present moment awareness for many people. Tolle writes with simple power that speaks directly to the heart of anyone ready to hear his message. I do not wish to disparage this book at all. Indeed, it is on Happy Cow's recommended reading list. However, often we humans want to overcomplicate things. Because our ego likes to make out that all our problems are huge and almost insurmountable, then of course we must read an entire book (perhaps an entire library of books) before we can possibly start to understand and tackle them. I would like to suggest that the truth is always incredibly simple. I would like to suggest that the message in the Power of Now can really be summed up using just two words which have been spoken by countless grandmothers, big sisters and school nurses since time immemorial. 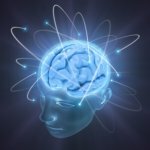 All human problems are created by the ego or 'small self' which is the 'personality' you have created for yourself in your mind. Because you have created this 'personality', you feel separate from the rest of existence. You feel alone and vulnerable. It is little old you against the universe. Because this ego or false personality is so fragile, it tries to bolster itself by collecting 'things' around it which make it feel important - money, posessions, relationships, status, achievements etc. Fundamentally, the ego can never be satisfied, it always wants more as its very separateness from the rest of existence makes it perpetually insecure. It is only by separating yourself from this mind-made ego that you can ever gain a lasting sense of fulfillment and contentment. Whenever you are thinking, you take your attention either into the past or into the future, reminiscing / regretting or worrying / visualising. 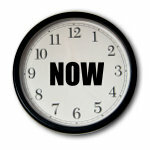 All 'problems' are created by rejecting the present or NOW MOMENT in some way. You remember a past moment that you thought was 'better' than the present moment or you wish for a future moment that will be 'better' than the present moment. You do not accept life just as it is, NOW. Because mind takes you continually into the past or future, you miss life as it actually happens, NOW. Your life is spent not in reality, but in your mind. If you can separate yourself from thinking, from ego, from past and future then you will find yourself in the present moment, The Eternal Now, which is where vibrant life occurs and where there are never any problems. You will be facing reality in its full colour glory. This always feels wonderful. When you are present and aware, you are able to see your ego or small self for what it is, just an arbitrary collection of habitual thoughts and judgements. Once this is seen, you will no longer react blindly to life's inevitable challenges, but can respond to them with the power of calm free choice. Isn't this all just an incredibly elaborate and long-winded way of saying what many grandmothers, big sisters and school nurses have been saying for years? That's it! The answer to all our problems. It has been with us all along. How did we ever forget?